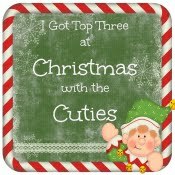 it's time for a new challenge over at Sparkles Forum Christmas. 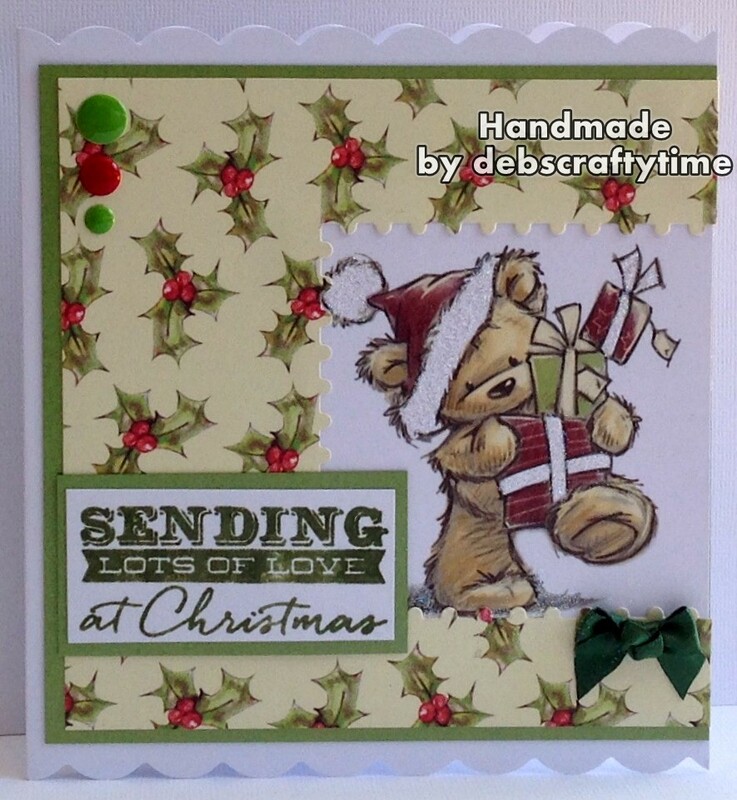 Why not get ahead with your Christmas cards and join in with us. The other teamies have made some beautiful creations. Just click on the badge below. Hope you're all well and have a lovely day whatever you are up to. I'm starting to feel more like my old self, thank you for your get well wishes on my comments, so thoughtful. We had our new 3 piece suite delivered on Wednesday, it's taking some getting used to it as it's very firm compared to our old one which is piled up in the conservatory waiting to picked up veery soon I hope. We also went carpet shopping on Thursdsay so that's all ordered now too. It should be just over 2 weeks until it can be fitted so I'll be well out of the way in Hospital recovering from my Bowel operation. I'll come hope to some nice home comforts to recuperate in,I hope!!!! It's all happening in the John's Household. Thanks for popping by to see me. 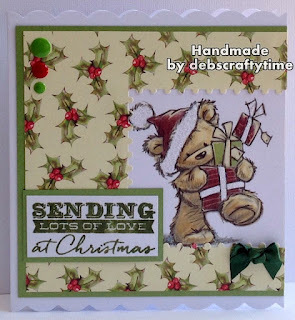 A super Christmas card Debbie, such an adorable image and lovely papers. I hope your operation goes well, it sounds like you have lots to look forward to when you get home. James the bear a definitely a cutie and he looks lovely against your holly background. Thanks for joining us at Fab n Funky this week. 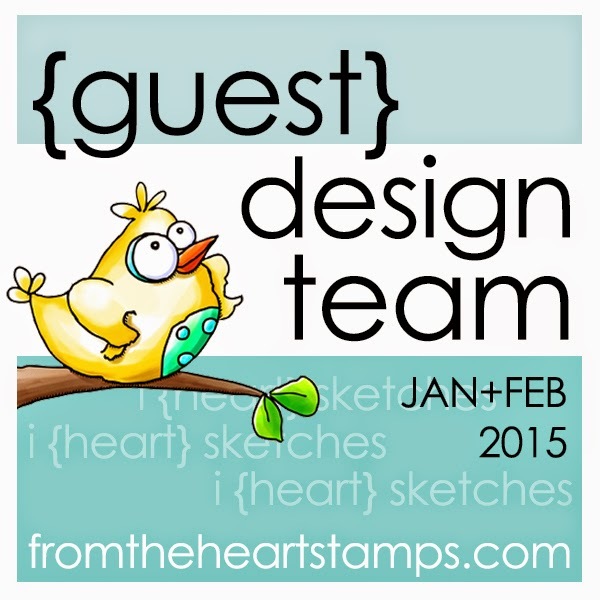 You've made a lovely project for our 'All Things Cute' Challenge over at Crafty Friends Challenge Blog. Good luck in the draw and hope you can join us again for our next challenge.